Prime Sumatran orangutan habitat is under attack by oil palm companies, but conservation NGOs are learning to use the law to halt that destruction. Many developing countries, such as Indonesia, have fairly good environmental laws against deforestation and protecting threatened species, such as orangutans. However, environmental crimes are often not prosecuted. From 2007 on, Indonesia’s Tripa peat swamp forest was actively cleared by oil palm companies in direct violation of federal environmental laws. But lawsuits by international and local activists aim to put a stop to it. Though several companies were found guilty in the courts, fined and ordered to restore portions of Tripa’s forests, the Aceh provincial government has created a new land use plan that ignores federal deforestation protections. Conservation NGOs, emboldened by the successes of the Tripa lawsuits against corporations, may soon be forced to press new legal actions, this time against Aceh’s provincial government to modify its harmful land use plan. "Hell for people and paradise for orangutans,” is how Ian Singleton, director of the Sumatran Orangutan Conservation Program (SOCP), describes intact Indonesian peat swamp forests. The first legal challenge was triggered on August 25, 2011. That’s when Irwandi Yusuf, Aceh’s provincial governor, signed a permit allowing the PT Kallista Alam company to convert 1,605 hectares (6 square miles) of forest into an oil palm plantation. The permit violated a moratorium on new forest concessions that had been signed three months earlier. In November 2011, a group of NGOs spearheaded by WALHI Aceh (an Indonesian environmental and social justice NGO) filed a lawsuit in the Aceh administrative court to rescind the permit, noting that it violated both the National Strategic Area protections and the May 2011 moratorium. A series of maps clearly showed that the area the province had turned over to PT Kallista Alam was within a protected peatland. In April 2012, the administrative court threw out the case, saying WALHI should have attempted to mediate with the company before filing the case. This was unusual because if a challenge had no legal basis, it should have been rejected right away instead of five months after filing. But WALHI Aceh persevered. It appealed the decision, and five months later, WALHI won. The Aceh governor cancelled the permit. PT Kallista Alam then challenged the decision and brought the case to the Supreme Court in Jakarta. In April 2013, the high court upheld the judgment so that the permit stayed cancelled. The trouble was, that while the case slowly wound its way through the courts, PT Kallista Alam and four other companies with Tripa concessions continued clearing land by illegally setting fires — lots of them. In March 2012, for example, more than 90 fires were set in 9 days, in an inferno of habitat destruction. What the companies hadn’t counted on was the court of public opinion. Images of the raging fires circled the globe and generated nonstop national and international media attention. 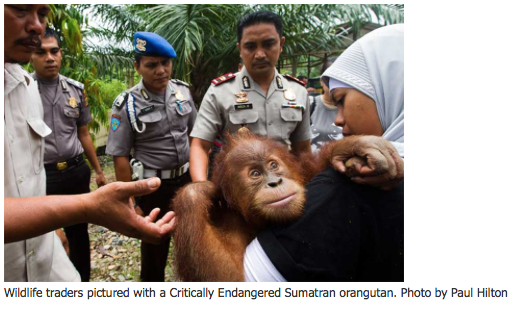 More than 1.5 million people signed online petitions demanding protecting for Aceh’s forests. Public pressure forced the Indonesian government to act. It’s REDD+ Task Force (part of the UN’s climate change deforestation prevention program) and the President’s Delivery Unit for Development, Monitoring & Oversight (UKP-PPP or UKP4) sent investigative teams to Tripa. They sorted through events on-the ground and verified satellite imagery. The companies were caught in acts of deception, as some tried to claim that their plantations were well-established instead of newly planted. The investigators determined that the fires occurred in areas of deep peat and had been deliberately set, in defiance of National Law 32/2009 on the Protection and Management of the Environment. That law bans both the use of fire for clearing land, and the clearing of peat more than three meters deep. Their findings prompted more court action, this time initiated by the Ministry of Environment. In November 2012, the Ministry filed civil charges in the National Court in Meulaboh, Aceh against PT Kallista Alam for illegally burning Tripa’s forests. It also filed parallel criminal charges against the company’s director and field manager. In January 2014, the court ruled against PT Kallista Alam on the civil charges and ordered it to pay fines totaling about $30 million (366 billion rupiah), as compensation to the state. More importantly, the company was ordered to restore the affected forests to their original condition. The court also imposed a daily fee of $425 (5 million rupiah) for each day the fines remain unpaid and ordered the seizure of 5,800 hectares (22 square miles) of the company’s concession. PT Kallista Alam appealed the decision to the High Court in the provincial capital of Banda Aceh, but in August 2014 that court rejected the appeal. In October 2014, the company made a second and final appeal, this time to Indonesia’s Supreme Court in Jakarta. In August 2015, the Supreme Court also rejected the appeal — ending a three-year battle to bring the company to justice and finally forcing it to pay the earlier penalty. The company’s field manager and director also lost their criminal cases. In July 2014, field manager Khamidin Yoesoef was found guilty and sentenced to three years in prison and a $257,000 (3 billion rupiah) fine. Director Subianto Rusyid was sentenced to an eight-month jail term and $257,000 fine. Those were not the only Tripa peat swamp cases. The Ministry of Environment also filed civil and criminal charges against other companies, including PT Surya Panen Subur II, an oil palm company found guilty in January 2016 and fined $225,000 (3 billion rupiah). While most of these sentences are yet to be implemented, they set a groundbreaking precedent. The vigorous prosecution of environmental crime has a lack luster history in the industrial world, and that record is far worse in the developing world. The Tripa case demonstrated how international pressure and court actions could be combined to successfully enforce existing environmental laws. It’s not only companies that are facing lawsuits; governments are also being challenged. A campaign is building to block Aceh’s proposed development plan, which would open up the Leuser Ecosystem to timber, mining and plantation concessions, and allow the construction of new roads through Aceh’s forests. The conflict surrounds the Aceh government’s Spatial Land Use Plan issued in 2013, which enables the opening of huge swaths to forest clearing and road construction. While every Indonesian province is required to create such a plan showing current land use, Aceh’s plan appears to be flawed, with more than a dozen components that breach other laws. For instance, the plan doesn’t even mention the Leuser Ecosystem, despite the fact that spatial plans are required by law to include all National Strategic Areas. That same law (Law No. 26/3007 on spatial planning) prohibits any land use that interferes with the goal of environmental protection in the Leuser Ecosystem. Aceh’s development-friendly plan sends a worrisome signal to conservation NGOs, namely that the provincial government intends to turn over this critical habitat to oil palm companies for conversion to new plantations. Indeed, it underscored that goal by issuing new Governor’s Regulation, No. 5, 2014, entitled “Guidelines and procedures for acquiring new concession permits within the Leuser Ecosystem” — a blatant violation of federal law. It’s a catch-22. Federal law grants provincial governments the ability to use concessions to fund their budgets. At the same time, that process can conflict with other federal economic and environmental mandates, leading to a rapid loss in great ape protected habitat. Indonesia’s Ministry of Home Affairs rejected Aceh’s provincial plan in February 2013, saying it was seriously flawed and outlining at least 27 points which had to be addressed and revised before it could be approved by the central government, including acknowledgement of the Leuser Ecosystem’s protected status. Since then, the Aceh government has made no changes. It considers the plan approved and finished. The central government, on the other hand, considers it legally unacceptable and not ratified. Still, Jakarta has not used its authority to invalidate the provincial plan. Without a formal rejection, citizens and NGOs fear that Aceh’s spatial land use plan could become the law of the land. In January 2016, to prevent that happening, an alliance of concerned citizens and NGOs known as the People’s Movement to Contest the Aceh Spatial Plan (GeRAM), demanded that the federal environmental minister do his job. To force his hand, the group filed a class action lawsuit against him. The suit says that the minister is obliged to cancel Aceh’s current spatial plan (as required under ministry decree No. 650-441 of 2014), and ensure that the plan is revised to recognize the Leuser Ecosystem’s special status (as required under three laws: No. 11/2006 on Aceh governance; No. 26/2007 on spatial planning; and its derivative, Government Regulation 26/2008 on the National Spatial Plan). It appears likely that the years-long battle to save the Tripa peat swamp, and now all of the remaining Leuser Ecosystem, will now play out in the courts. The stakes are high. If the minister fails to reject this plan — which blatantly flouts national law — other provinces could be emboldened to adopt similarly destructive land use plans. If that happens, already protected forests and other ecosystems could be opened to wholesale agribusiness expansion. Meanwhile, open defiance to the rule of law continues in Tripa. Recent satellite monitoring and field investigations by Rainforest Action Network found that the PT Surya Panen Subur palm oil company is continuing to clear peat swamp forests for its plantations, with roughly 290 acres cleared between February and August 2015. Nevertheless, these legal battles provide hope for the conservation of habitat on which both orangutans and local people depend, while also offering the vital carbon storage that the world needs to help curb climate change. The pioneering legal strategies implemented in Indonesia and Aceh may also serve to inspire NGOs in other developing nations to vigorously prosecute crimes against the environment. Article published by Glenn Scherer on 2016-04-13.